Agile Principles and Mindset – There are a number of key principles of agility that apply in any field. The CRM function necessarily needs to employ an agile mindset across the larger team and organization. Value-driven Delivery – There are many aspects to CRM, and your company needs to choose those that offer the most value to the customer. This includes prioritization and implementing improvements often. Stakeholder engagement – The customer is number one…but you need to engage also with other stakeholders – such as suppliers, logistics people, production, sales and support people, the finance department, and more. Team Performance – Ensure that teams and individuals are empowered at the right level and that the systems that you put in place are providing empowerment and are not an impediment. Adaptive Planning – Acknowledge that your CRM efforts are a work in progress and that you need to be vigilant are taking action, valuate results, and re-plan the next steps accordingly. Problem Detection and Resolution – Evaluate your team’s capabilities on a regular basis. Ensure that the organization structures in place are helpful and adjust as necessary. Continuous Improvement (Product, Process, and People) – When thinking about CRM efforts, keep product, process, and people front of mind. Strive to improve what you are doing continuously and infuse that mindset in the culture. How Agile Is Your Strategy? 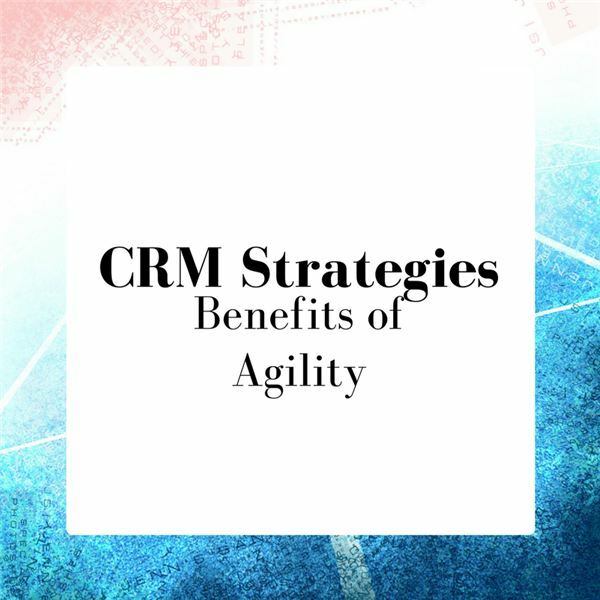 A changing CRM environment requires agility. Are your company’s CRM strategy and its CRM operations constantly being honed, evaluated and reshaped? Do you understand the macros trends and have you developed a capability within the company to respond to the problems and opportunities that are before you?